Having a sick child is no fun and this season we have had one about every other week for 3 months. It has gone from Charlotte to daddy, to Phoenyx, to Charlotte, to Mom, to Dad, to Phoenyx. I have visited the Dr so many times that when Phoenyx forgot his coat there on the last visit I just said, i am sure we will be back. And having a sick child means lazy days and couped up kids and energy. Because no matter how sick your child is, they are still “bored”. 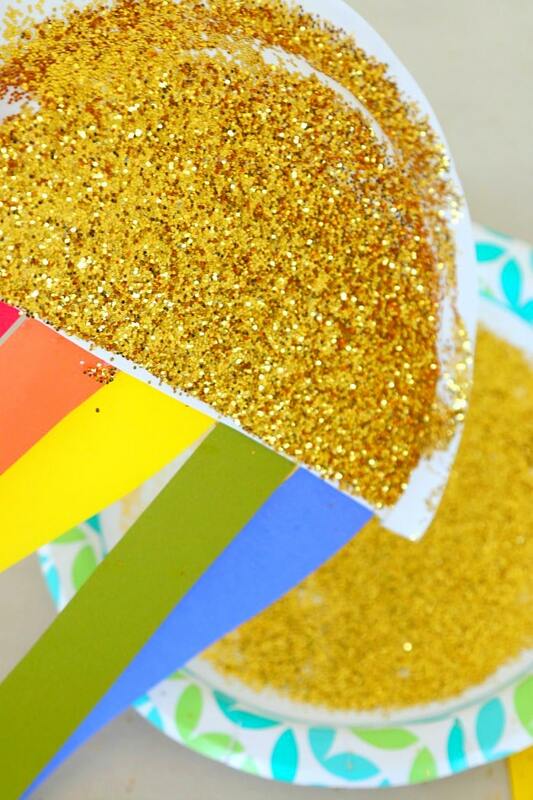 Now there are lots of really quick and easy crafts you can do with sick kids. Or ,if you are stuck with a child that has been inside for a few days, you may have to break out the more creative ideas. I wanted to share with you a really fun and seasonably appropriate craft this time of year that is perfect for about any child over the age of 3 (with parental supervision). 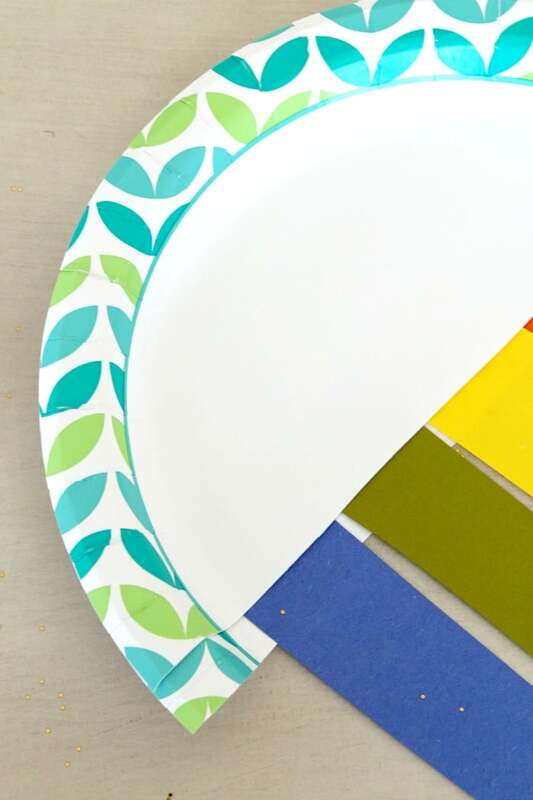 First your prep- cut your plate in half and your colored paper in strips. 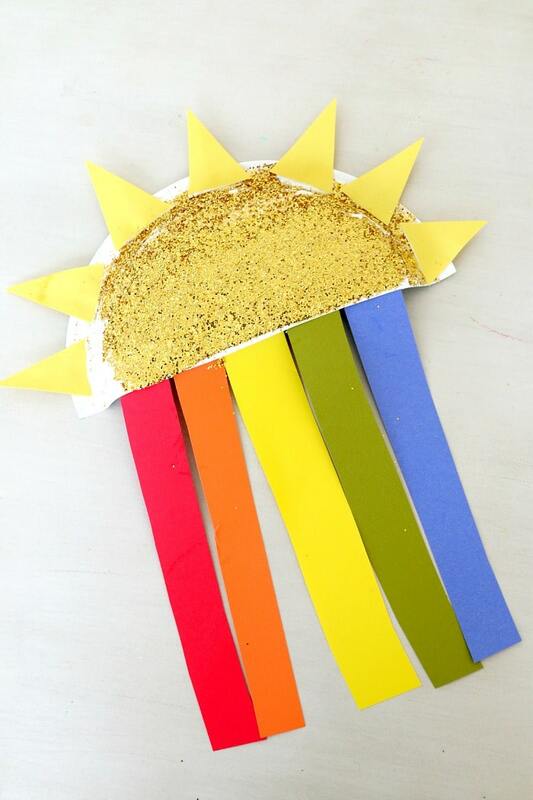 As an alternative, if you have crepe paper that is pretty fun too. Unfortunately crepe paper lasts about a day in this house but we have construction paper for days, so we went with that. 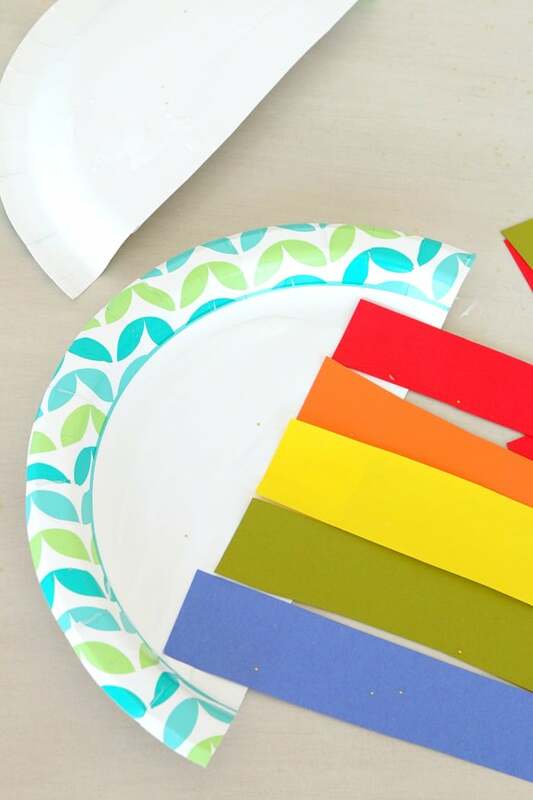 Spread some glue onto the back of your paper plate and lay your “rainbow” strips down. Keep in mind that the sun will be facing the opposite direction when turned around so if you want to do your colors in order, lay them in reverse. 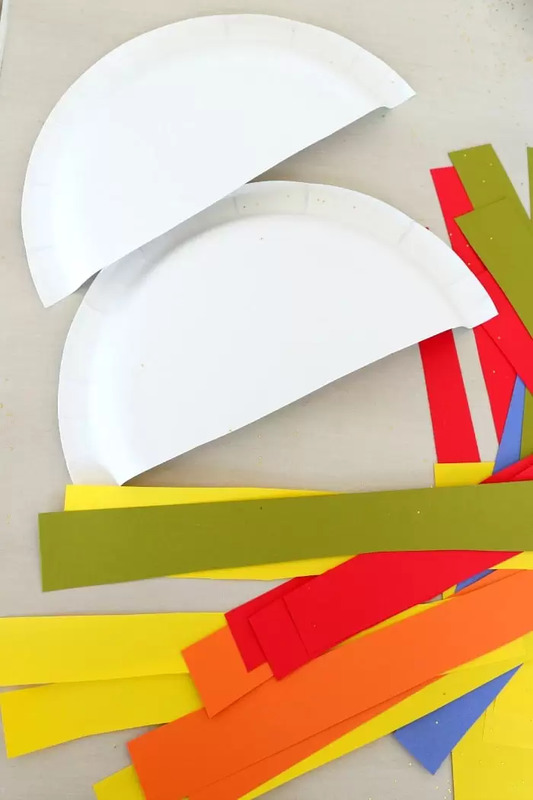 Then glue down the other piece of your paper plate to secure your strips. Turn over and color it, add a face, or glitter it up like we do. I know a lot of people hate glitter and I do have to break out the Swiffer when we use it, but if you have a sick kid, nothing will make them happier than dumping glitter. Now this is my last month with Pediacare and being able to share with you all the amazing posts I have been able to do the past few months has been exciting. I am sure you already keep Pediacare products in your home, but do not forget you can save some money by heading over here and printing off coupons. In addition, this month I wanted to share this very important infographic on Treating a Fever and Pediatric Dosage. You can pick up Children Acetaminophen Fever Reducer / Pain Reliever at your local store and stay ready for the down moments. Have a wonderful (and hopefully non sick) weekend! « How Safe Is Your Garage Door…Really? we made similar crafts as kids. I will do this one with my kids on our next rainy weekend. thanks for sharing.